← Is your business in the clouds? 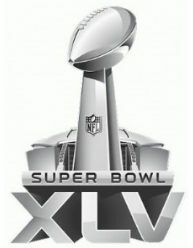 Today is the 45th Super Bowl and the preparation is completed. Now, it’s time to execute. The team that has prepared best and goes out and executes the best will be the winner, , , maybe. Another factor is going to be which team can react to the other team’s game plan the best and what happens during the game. Often, the team that gets the fastest start is not the ultimate winner, , , it happened last year when the New Orleans Saints came from behind to beat the Indianapolis Colts. You can draw a parallel between your IT organization and a Super Bowl football team. You prepare your team and you execute well, , , but are you adjusting in a timely manner when game changing events occur in your company? An IT organization has to be somewhat flexible. Business needs change, and at times they can change quite often due to real issues that come up and affect the company. Some of these issues may be negative impacts, , , others can be unforeseen opportunities. In either case, your company may need to react to surprise situations, , , and when they do, IT support is often needed. It’s important for you to develop an IT strategy to support your business. I emphasize this in many of my works. At the same time, be careful not to put a strategy in stone where you can’t adjust to new things that come up and impact your business. Openly discuss these things with your senior management team. Ask them how rigid or how flexible you need to be when developing your IT strategy. Building your strategy in partnership with your senior management team is much more beneficial for everyone than developing it alone. Senior management probably doesn’t want to be involved in the details, but they will normally be more than willing to provide guidance and advice about how flexible the plan needs to be. Once the strategy is agreed upon and you are executing the plan, , , be observant and watch for things that occur in the business that may need you to adjust your focus. When you do, be sure you pull some things off the list so you are still working within your organization’s capabilities and capacity. Today’s game should be a good one, , , at least on paper. I like both teams so it doesn’t really matter to me who wins, but I need to make a choice so I’ll go with the Green Bay Packers over the Pittsburgh Steelers — 27 – 20. This entry was posted in IT Manager Tips and tagged is manager, it director, it management, it manager, it organization, super bowl. Bookmark the permalink.